Heat oven to 350ºF. Line cookie sheet with foil. In large bowl, beat brown sugar, salt and beer with whisk. Add chicken wings; toss gently to coat. Refrigerate 30 minutes to brine. In large resealable food-storage plastic bag, mix onion powder, garlic powder and paprika. Drain chicken; pat dry with paper towels. Discard brine. Add chicken to bag; toss until evenly coated. Place chicken on cookie sheet. In 1-quart saucepan, melt butter. Stir in pepper sauce. Heat to a simmer. Pour mixture over wings. Bake 30 to 35 minutes or until juice of chicken is clear when thickest part is cut to bone (165ºF). 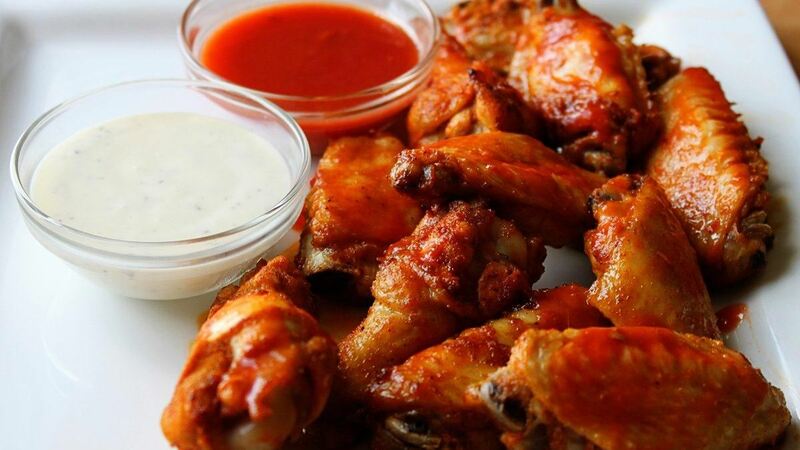 If desired, shake extra pepper sauce over wings after baking. Tip : Serve with a side of ranch dressing and celery.